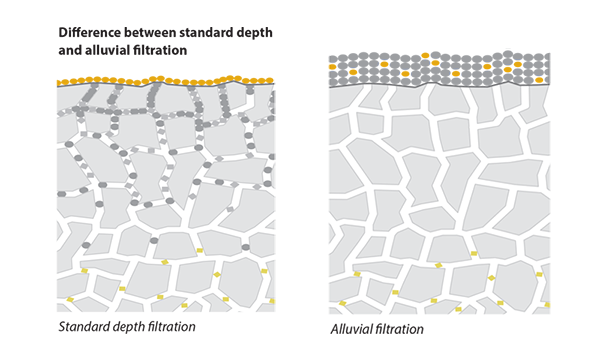 FILTRODISC™ BIO SD is the first depth filter using the advantages of the alluvial (cake or precoat) filtration technology in a disposable format. 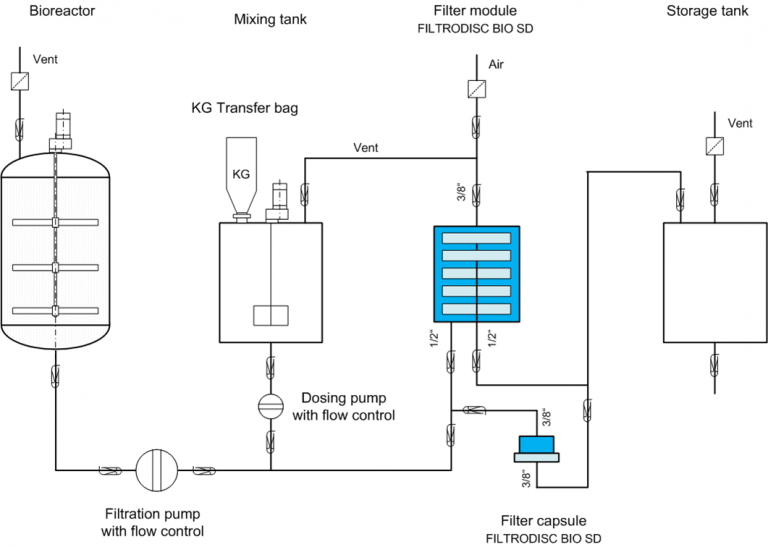 Alluvial filtration is a well-established method in pharmaceutical industries. With FILTRODISC™ BIO SD, this technology is now also available for single-use cell separation, as the system is fully scalable and disposable, fulfilling all validation requirements. FILTRODISC™ BIO SD is a filtration system which removes particles (e.g. cells, bacteria, yeast), impurities (e.g. HCP, DNA) and other turbid matter from process liquids (e.g. fermentation broths). This single-use system is completely disposable; all material that comes in contact with the product is meant for single-use and can be disposed of after the filtration is completed. Reducing cross contamination risks, cleaning, validation and downtime, making this method the ideal choice for small scale projects (such as University research), contract manufacturers (CMO), other operations with a high frequency of product change. 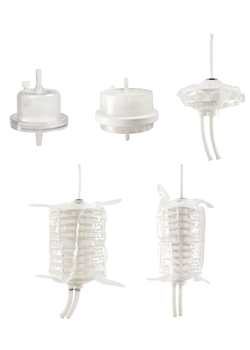 All sizes can be ordered gamma sterilized (upon request). Compiled by 10,000 different species of extinct and living diatom algae. Their skeletons consist of an inert SiO2 structure that is unlikely to affect product properties. Diatomaceous earth (DE) is added to the fermentation broth, mixed for 10 minutes and then transferred to the filtration unit. Where the fermentation broth is pumped through the FILTRODISC BIO SD. How does the FILTRODISC BIO SD system work? To further discuss the Filtrox Depth Filtration options, and how we can help you to find the perfect solution to keep your process under control. Please contact us, or request a callback at a convenient time to suit you.